Superchrome's canvas printing service in UK utilizes using several printing techniques via which an artwork is reproduced directly onto a canvas. More and more people are bringing canvas prints into their homes and what is even more remarkable is that most business houses prefer canvas prints over any other print for their office interiors. 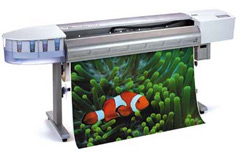 Superchrome provides world class canvas printing service in UK. Superchrome canvas prints are elegant and of superior quality. Ours is a highly professional and experienced digital printing company, specializing in large format printing like banner printing and poster printing. We extend our canvas printing services UK to interior designers, hotels, offices, retail chains, independent stores and photographers and other individuals and institutions. Superchrome provides digital canvas printing services in UK of fine art and abstract art works and even your favourite photos. Our giclee prints offer the highest degree of accuracy, richness of colour and visual quality. Superchrome’s canvas printing services in UK make use of printing methods that produce prints directly from a computer file rather than from a slide or a photograph without going through the customary intermediate medium like a film negative, a colour proof or a plate. The canvases we use in our printing services are made of high grade cotton and printed with long-lasting pigment inks which have the ability to reproduce even the subtlest fine art, ensuring that your picture lasts for quite a long time. Superchrome’s canvas printing services in UK are tailor-made to suit your requirements. Our services are characterized by superior quality, low rates, choice of canvas (stretched, unstretched or framed), variety in size and shape of prints and a turnaround of not more than 48 hours. We make use of the most modern printing technology and printing supplies. In addition we provide retouching and enhancement services to create nothing less than perfect imaging quality. Superchrome has many years of experience in the field of canvas printing - we guarantee total customer satisfaction. We can provide you with personalized canvas prints at highly competitive prices. If you would like to know more about our canvas printing services in UK, any of the projects shown or if you want to discuss any project you have coming up then contact us 020 7237 9333 or fax 020 7237 9444 or email sales@superchrome.co.uk. Our experienced personnel would be able to guide you appropriately.